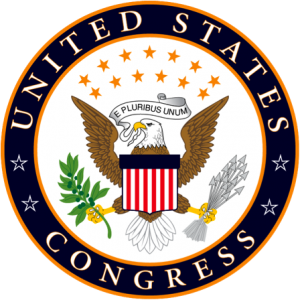 How Much Do You Know About the U.S. Congress? There are three branches of the U.S. government: Executive, Judicial and Legislative. The Executive branch is the sole authority responsible for ensuring that the laws are followed. The President is the head of the executive branch, and there are many departments, including the Department of Agriculture, Department of Commerce and Department of Defense. The Judicial Branch is in charge of interpreting the law, analyzing its constitutionality, and applying them to individual cases. The Supreme Court is the highest court in the country, and Congress sets the number of Supreme Court Justices. 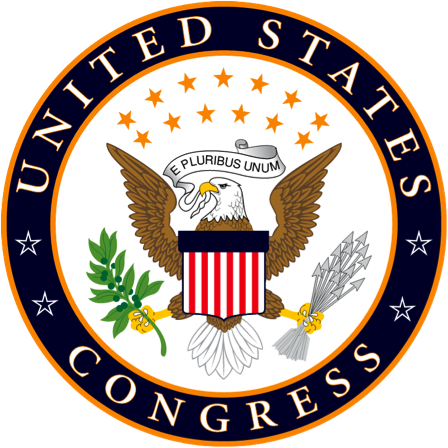 The Legislative Branch is known as the United States Congress, which consists of two houses: the House of Representatives and the Senate. Specific guidelines as to how the different branches function are outlined in the United States Constitution, which was written in 1787 and has been in effect since 1789. The House of Representatives is composed of 435 Representatives. Each Representative represents a different district, and districts within the states are divided based on the population count taken from the United States Census, which is conducted every 10 years. The more populous a state is, the more representatives it will have. California is the most populous state with 53 representatives. Every state is entitled to at least on representative. Alaska, Delaware, Montana, North Dakota, South Dakota, Vermont and Wyoming each have one representative. Each House of Representative member serves a two-year term. Their responsibilities include introducing bills and resolutions, offering amendments and serving on committees. A typical day in the life of a Representative consists of attending early morning topical briefings and various caucus and committee meetings and hearings throughout the day. They also speak with groups, communicate regularly with constituents, speak with the press and review reports. In the evenings, they attend receptions or fundraising events. A Representative must be least 25 years old, a United States citizen for at least seven years, and an inhabitant of the state he/she represents in order to be eligible for election. The Representatives are elected directly by the people every two years during the election period. The Speaker of the House is the political and parliamentary leader of the House and has the sole power of impeachment. The House of Representatives members elect their Speaker. It has been a tradition to have an elected House Representative as the Speaker of the House, although the Constitution does not require it. The responsibilities of the Speaker include fulfilling administrative and procedural leadership roles as the leader of the House, setting the majority party's agenda, delegating tasks to House Members, and representing their congressional district. Tax and spend public money for the national government, otherwise known as the "power of the purse." Bills that propose imposing taxes can only be introduce in the House. Impeach federal officers for high offenses such as treason or bribery. Elect the President if no presidential candidate received a majority vote in the Electoral College. Use committees such as the Committee of the Whole to review bills and provide oversight of the executive branch. There are 100 members of the Senate: two for each of the 50 states. Each senator serves a six-year term, but the terms can vary. Every two years, roughly one-third of the Senate is up for re-election. Each one-third group of senators is referred to as a "class." Based on this system no state can have two senators in office from the same class. A Senator must be at least 30 years old, a U.S. citizen for at least nine years, and an inhabitant of the state that he or she is representing. The people residing in the State vote for their senators during the election period. The Vice President of the United States is the President of the Senate. Typically, he/she does not have a vote unless the Senate is equally divided, at which point, the President of the Senate would be the tiebreaker vote. Work alongside the President of the United States to appoint officers such as Ambassadors, Judges of the Supreme Court, Public Ministers and Consuls. Make treaties with help from the President, as long as two-thirds of the Senate approves the treaty. Try national officers, including the President of the United States, at impeachment trials. Two-thirds of the Senate members must be present at the trial in order for the tried person to be convicted. Condemn its own members for disorderly conduct with two-thirds of Senate approval. Delay debate or block legislation, otherwise known as using a "filibuster". The Senate can also suspend a debate with a two-thirds majority vote, which is known as utilizing a "cloture". Conduct investigations on members of other branches of the United States, and other country officials. Determine the qualifications of its members. The three branches of the U.S. government have checks over one another to ensure that power is being distributed equally among three branches of the government. For example, both the Executive and Legislative branches of government must approve the passing of a bill into law. House of Representative bills must be passed by the Senate and agreed to by the U.S. president before becoming law. The President has the power to veto a bill after being passed by both the House and the Senate. If he/she vetoes the bill, it cannot become law. If the bill does become law, the Judicial branch can determine the constitutionality of laws as it is applicable to each case they review. All members of the U.S. government have the primary responsibility of representing their constituents.